Haing Somnang Ngor (Khmer: ហ៊ាំង សំណាង ង៉ោ; Chinese: 吳漢潤; pinyin: Wú Hànrùn; March 22, 1940 – February 25, 1996) was a Cambodian American gynecologist, obstetrician, actor, author, and refugee. 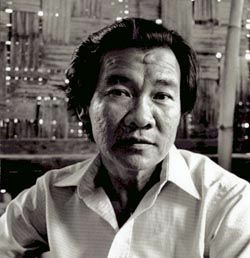 He is best remembered for winning the Academy Award for Best Supporting Actor in 1985 for his debut performance in the film The Killing Fields (1984), in which he portrayed Cambodian journalist and refugee Dith Pran. Read more on Wikipedia.